Senate President, Dr. Abubakar Bukola Saraki, on Friday called on Government agencies at all levels to integrate Nigerian Engineers, technicians and artisans in their workforce when embarking on construction projects as a way of utilizing local capacity and conserving scarce foreign exchange. 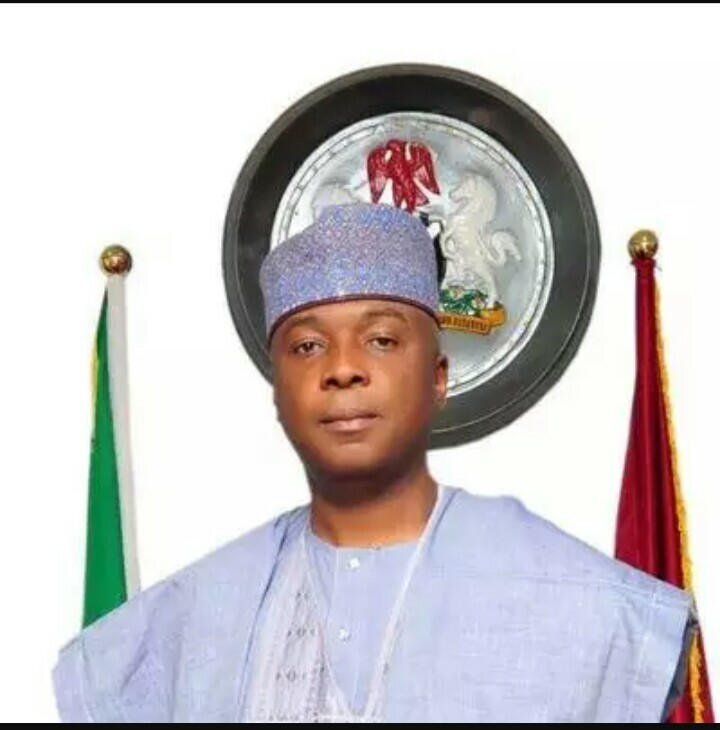 Saraki who make the call in his remarks before he formally flagged-off the construction of the Dauran-Birnin, Tsaba Birnin and Magaji Kauran Namoda Roads in Zamfara State, according to a statement by his Chief Press Secretary, Sanni Onogu, also called on all government agencies to use locally made equipment where possible. He however noted that the 8th National Assembly is on the verge of passing the Federal Roads Authority bill and National Road Fund Bill into law to promote a safe and efficient management of the nation's road networks and open opportunities for alternative funding mechanisms from the private sector that will guarantee continuous improvement of the quality of roads year in year out. Saraki said: "As we are about to begin this massive road construction, I hope that our Nigerian Engineers, Technicians and Artisans have been and will continue to be incorporated in the workforce at all the different stages of construction; and that we also employ the use locally-made equipment where possible. "This will boost local content and reinforce our drive in the National Assembly for increased patronage of Made in Nigeria goods. It is expected that this avenue will provide a trickle-down effect on the socio-economic activities of Zamfara state," he said. The Senate President lauded the Zamfara State Governor, Abdul'aziz Yari for commencing the project at a period of limited resources. He said: "Indeed, to take up such a gigantic project in this period with such limited resources coming into the state makes an unmistakable statement that leadership and governance is all about commitment to the course of lifting our people from poverty and suffering. "No doubt, the construction of a reliable road network is one of the fastest ways of moving people, goods and services for growth and development. This project is commendable because Zamfara state plays a very important role in food production in Nigeria and neighbouring West African countries. "For a state which prides itself on its large farming population, an improved road network will definitely provide more employment opportunities to the people and improve socio-economic activities in the State. The challenges of road construction and maintenance have been a very big setback in our quest for sustainable economic development as a Nation," he said. He added: "I will like to thank all our party men and women who have kept faith with this administration. The Executive arm and the legislature are working tirelessly to ensure our economy is revived and the fruits of development reach every citizen. We have to join hands with Mr. President to ensure that the common man finds comfort in this country."